Hello there, it’s time for another Watercooler Wednesday Challenge and Karen is our lovely hostess this week with a masculine anything goes challenge. I made a bit of a nautical themed card this time using a stamp set I got with a craft magazine. 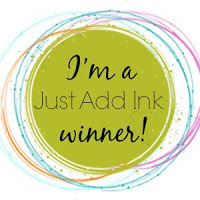 I stamped the whale tail, sentiments and sunray images in Stampin Up Night of Navy ink. Then coloured them in with my Stampin Blends. I used the matching die cuts to cut them out, then mounted on some red and blue layers onto a white card base. Come join in the fun and make a masculine card. Check out the projects that the other artists at Watercooler Wednesday Challenges have created, then take the challenge and link your creation to the challenge post. We’d love to have you join us. You have until Tuesday, 26th March at 10:00 Melbourne Time or Monday 25th March 5pm US Mountain Time to link up your project. Just beautiful Tristan. Love the colour scheme.